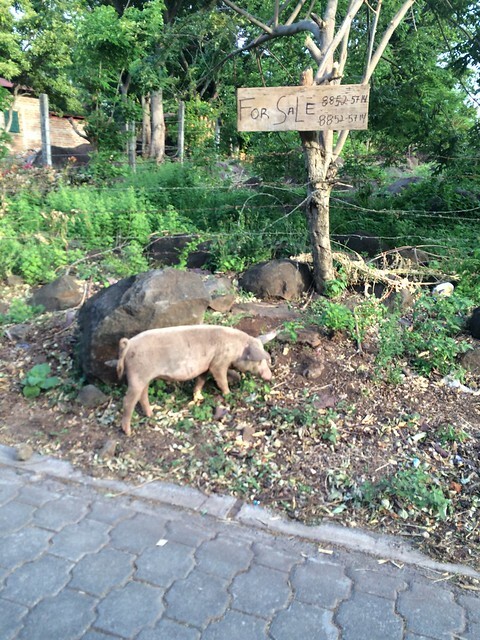 Ometepe Island – the untouched gem of Lake Nicaragua – Not Just a Long Holiday – Back in New York! 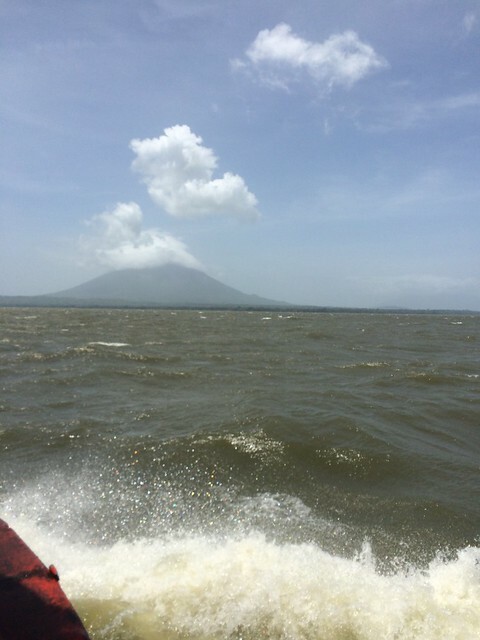 The great island of Ometepe. 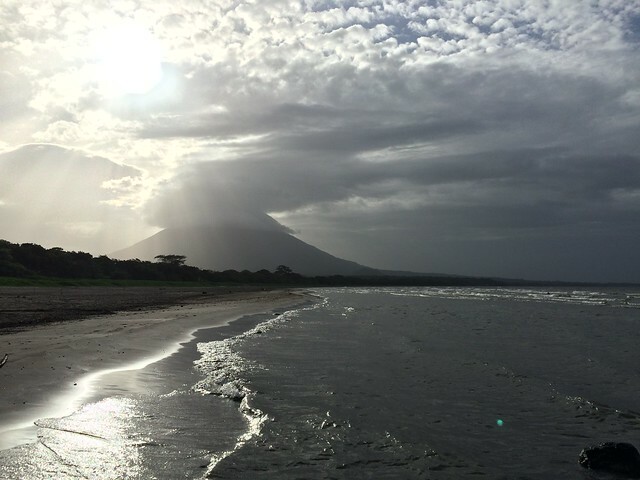 Formed from two volcanos in the middle of Lake Nicaragua. What a sight to behold and lifestyle to experience. 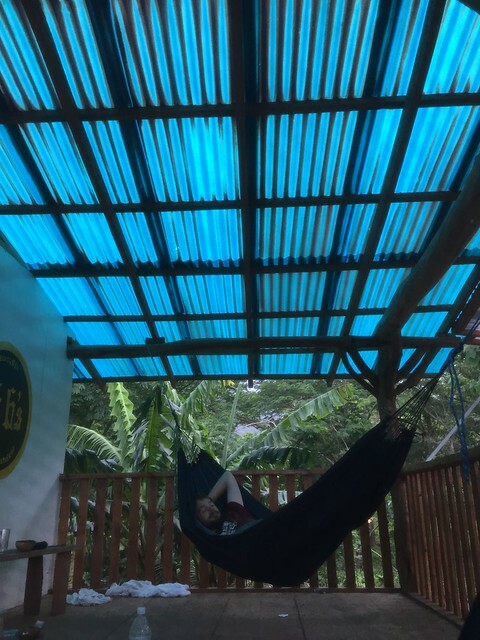 As mentioned in the previous post from Granada, we were going to head to the great island of Ometepe on our own and not via the comfort and expense of hostel tourist shuttles. We also had nothing booked as the booking sites seemed to be extremely expensive with crappy reviews. 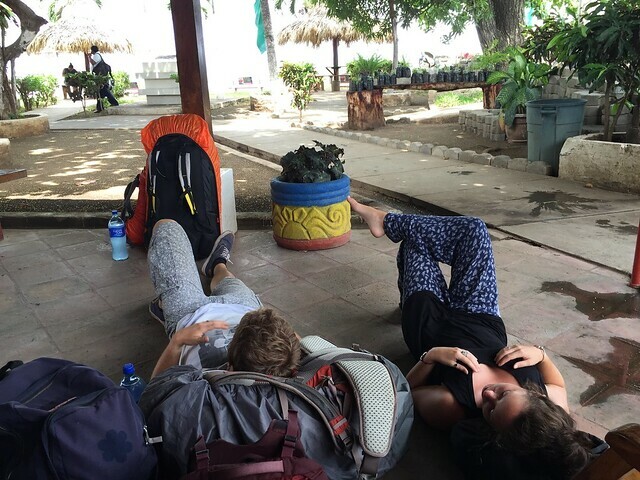 Confidence was on a high so far in Nicaragua following successful chicken bus cross country attempts. As the duos assigned navigator, I loosely made the plan. Around the back of the Granda market, past the stench of sun baked seafood is the bus station. A hive of activity with people loading everything including a kitchen sink on top of the chicken buses. We arrived at 9am thinking the 9am bus would be ready to leave around 9.30 or so. Nope.. “Rivas, Rivas, Ri Ri Rivas” we heard from a bus heading out the gate. We took off, across the station and threw our bags into the back door of the bus and climbed up, fitting into the tightly packed bus. There’s a (probably common) joke in Nicaragua about the buses which made me chuckle. “How many people can fit in a Chicken Bus?” “One More!” We were the two more in this case. 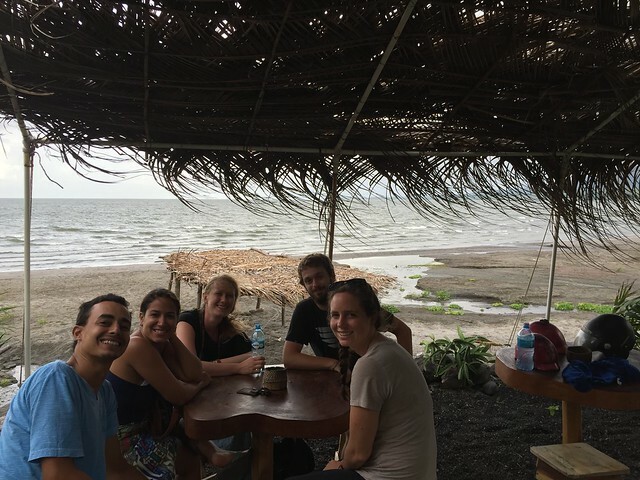 Off we set to Rivas, a main bus connection stop in the middle of Nicaragua which is used to connect to the south of Nica, Costa Rica and to San Jorge, the port to Ometepe Island. 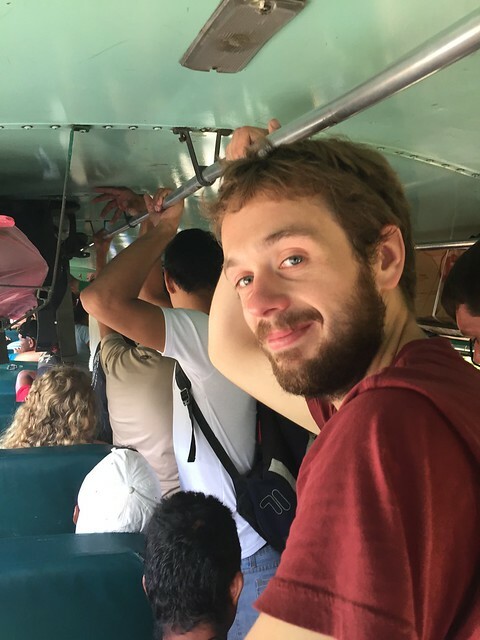 There were irregular buses going from there to the port but we decided to go for a $1 – 10 min taxi ride from there. We spotted a friendly looking old man with a taxi and beelined to him. Our new Aussie friend Sophie who had done some Spanish classes, struck a deal with him and off we went, tailed by a barrage of abuse from some conmen trying to rip us off for the last few miles of the journey. Happy days. The next step is a ferry. 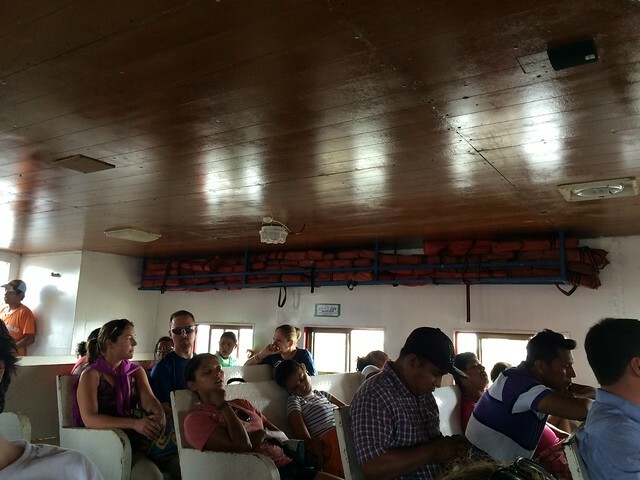 You can choose a big car ferry or a smaller rickety person ferry. 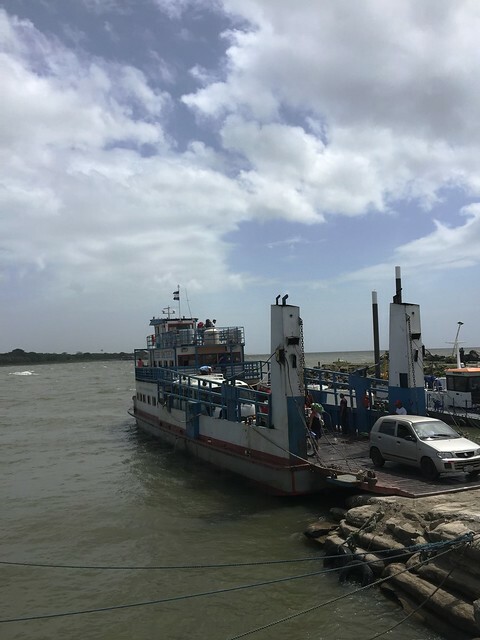 It lake looked choppy so we went with the bigger bulkier car ferry for the one hour ride. I heard afterwards that it was a good idea as those people carriers are not the safest, driest and indeed very shaky. I was already having nightmares of our fishing trip in Alaska. The ferry was quite slow and a little bumpy, made more entertaining by the sight of the volcanoes in the distance, getting closer. Another great deal was struck between Sophie and a collectivo driver who had screwed some Americans by more than twice the price for the same journey. We three decided to try Zopilote Farm, a well known Eco and self sustained hostel where they grew and cooked everything in their farm. 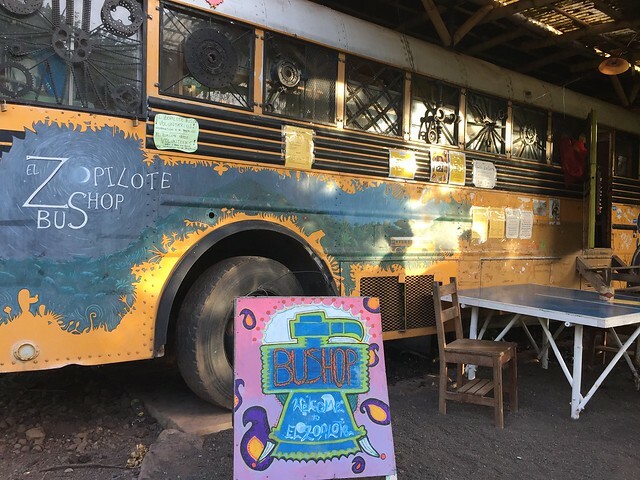 They have even converted an old school bus into a shop selling goods made by the staff. It was booked out but if we could find some Italian guy, there was a possibility he could put us up at his friends “house”. We found and as promised, he brought us through a couple of fields to a two story structure with barely 4 walls, no electricity, water or furniture. 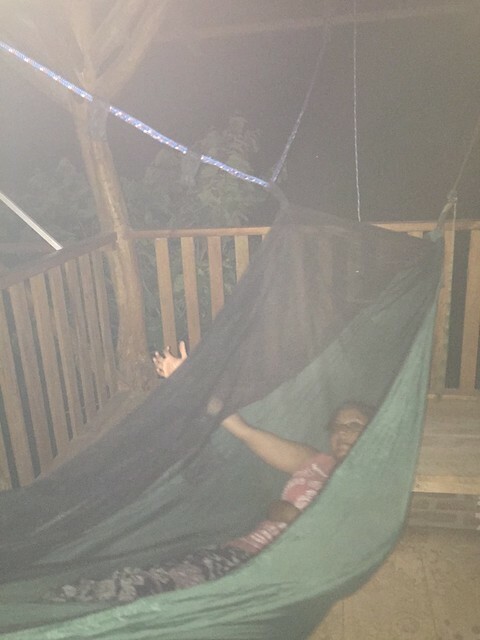 What it did have was hammocks upstairs in the open air for $3 a person. Following the arrival of Penn to the scene who agreed to stay if she could sleep near someone else for safety, we agreed! Pen and Sophie on one balcony, us on another. A few warnings were given to us about recent thefts during the night freaked us out a bit but we were assured that we ‘should’ be fine. We met Peter & Amanda, a lovely Brazilian couple with a fantastic travel blog, and all of us hit the island for a walk. It was hot here, the beach was relatively empty and pristine. I felt at home here. It was a sleepy island with very little traffic. A few animals wandered the roads and locals seemed friendly. 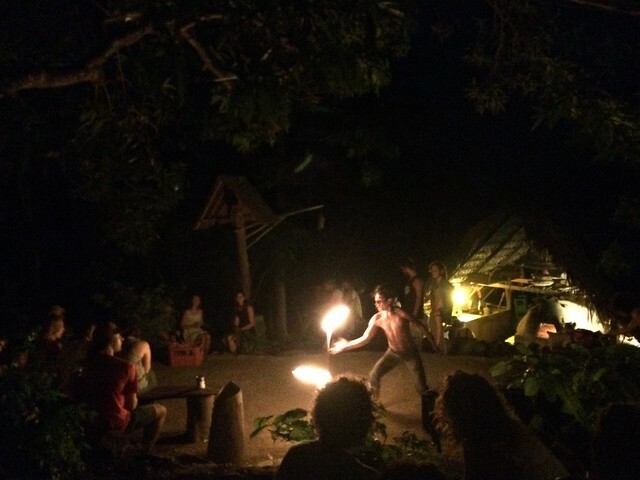 That and the excitement of roughing it up under the stars that evening echoed the “this is why I travel” part of me. 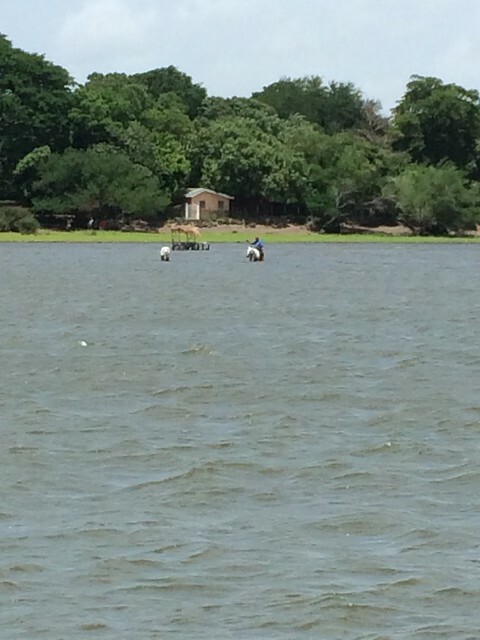 It’s hard to make out in this photo, but that’s a guy taking a horse for a walk through the lake! 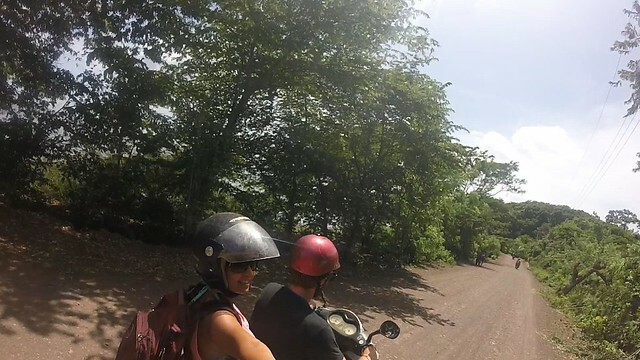 Over some rum and tasty brick oven pizza ( a speciality of the hostel which did a pizza and entertainment night twice a week) we hatched a plan to hit the island on mopeds the next day. The rum was a ploy from Pen to help her sleep that night. It worked for me but unfortunately not so much for her. Apart from hearing some voices of two more weary travelers needing a place to stay, I slept soundly all night, and woke up to one amazing sunrise. 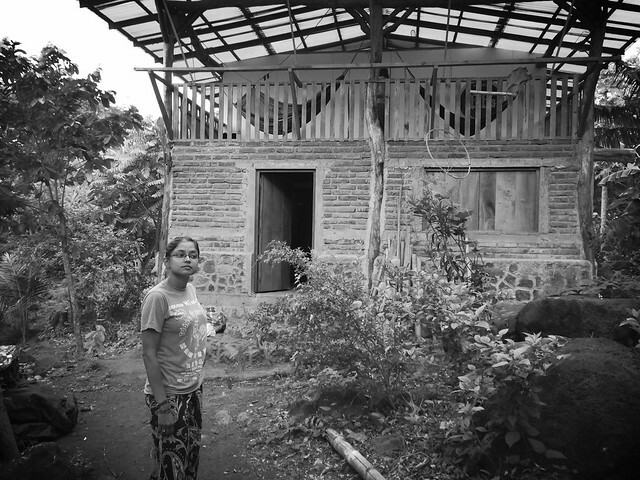 When we finally checked in, we got a wooden hut with thatched roof and no door. It had wooden bunk beds and a poorly locked cage for our backpacks. 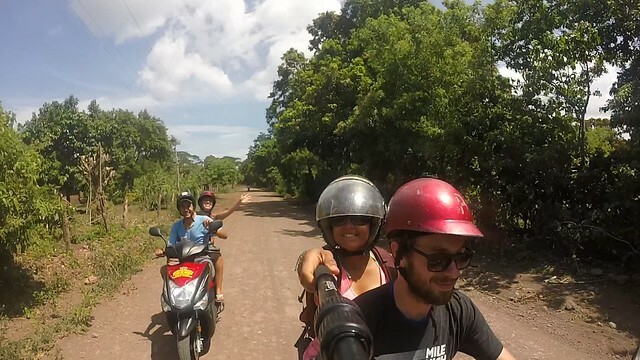 Our 2nd day on the island was spent on mopeds with our crew of new friends. Half of the island has yet to be paved which made for some good biking practice. There’s a great little spot in Merida that does fresh Juices by the beach for something really cheap. We could only drink what the juice lady had bought fresh that day. 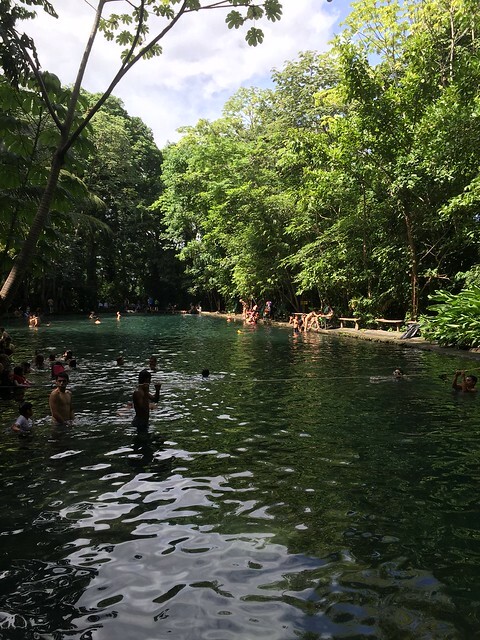 Our next journey was to a local natural swimming pool called Eye of the Water or El Ojo De Agua which sounds a bit better. On our way poor Pen & Sophie took a tumble going over some sand mound. Neem screamed alerting every man, woman, child and animal in the neighborhood! The two girls were fine with very minimal damage done to the bike, but we think the locals called the rental place up to let them know and force a fine on returning. The natural pool was packed with locals given it was a Sunday. It looked quite mossy and a little dirty in there but we jumped in regardless. Well, they all jumped, I meekly paddled in. Swimming is not my forte. Neem loved it in there as the water seemed quite dense which allowed her to swim very strongly.There were claims that it was also full of minerals et al making it good for you. I managed to swim like 3 meters, much to the delight of all of our supportive crew! We ate at the veggie restaurant on the island which wasn’t super and it felt like it made a couple of people sick overnight. At least it gave us a chance for a group photo, sans Neem. With that, another place ventured and culture gained. It also gave us a new appreciation for Eco tourism and self sustained accommodations, which are usually associated with high prices. This place was cheap with a great vibe, good people and tasty food. They had bio dry toilets which were actually not half as bad as we were expecting and not smelly at all, despite the 35 degree temperature. Tourism on an island which is not very well connected to mainland should especially consider the lifestyle of the locals and the environment. It’s a bit harsh to have a 4 star hotel with luxury amidst poor locals, disposing waste around and wasting resources on the island. You can’t truly experience the island from a fancy hotel. 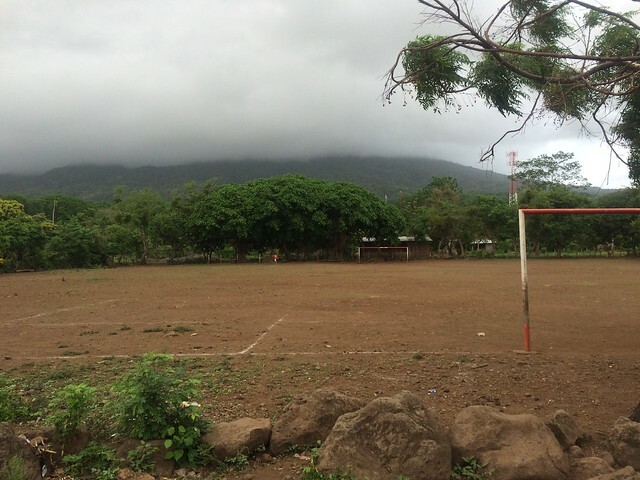 Even worse than this, if Hong Kong do build their planned canal through Lake Nicaragua, I fear it will cause irreparable damage to this lovely island. 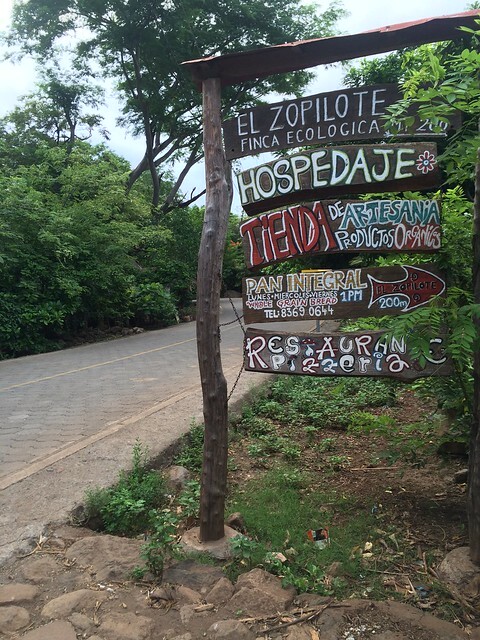 On to San Juan Del Sur next with our band of merry travelling friends. Not before a cheeky nap while waiting for the ferry to arrive.